Ultimate Christmas Sale EVER for Titus Cycles! Ultimate Christmas Sale EVER for Titus Cycles! Wanting a FULL CARBON frame for christmas? Great news from us for this Season sale on the 2011 X Carbon and 2011 FTM Carbon frame only*! 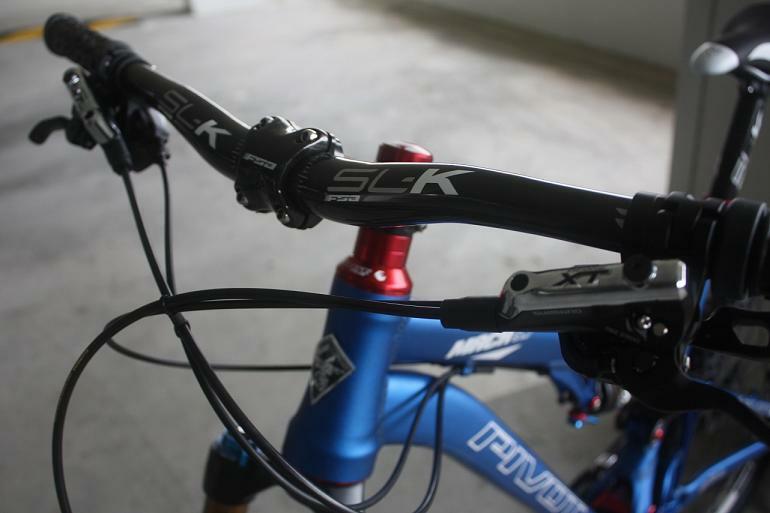 *All frame comes with FOX 2011 Rear shox, LIMITED SETS ONLY, WHILE STOCK LAST! RRP $3549.60 SGD, NOW $2650.00 SGD! 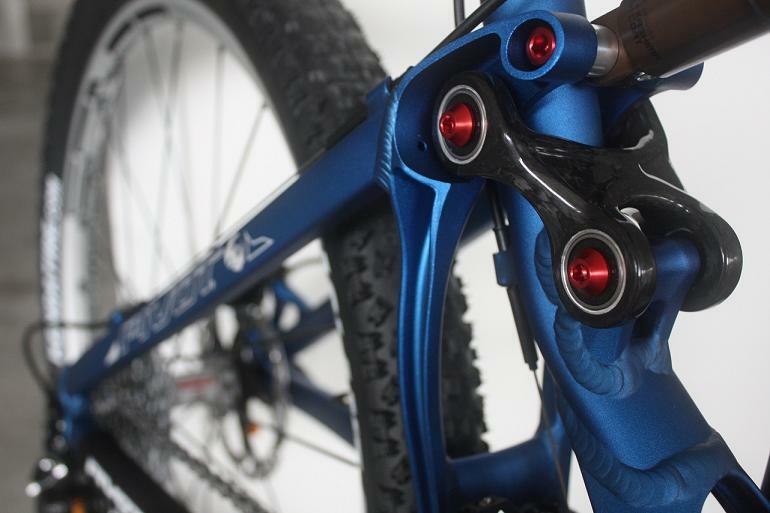 This frame redefines fast! Not only is the X Carbon light but it is ultra fast and ultra efficient. This is every XC riders dream machine. 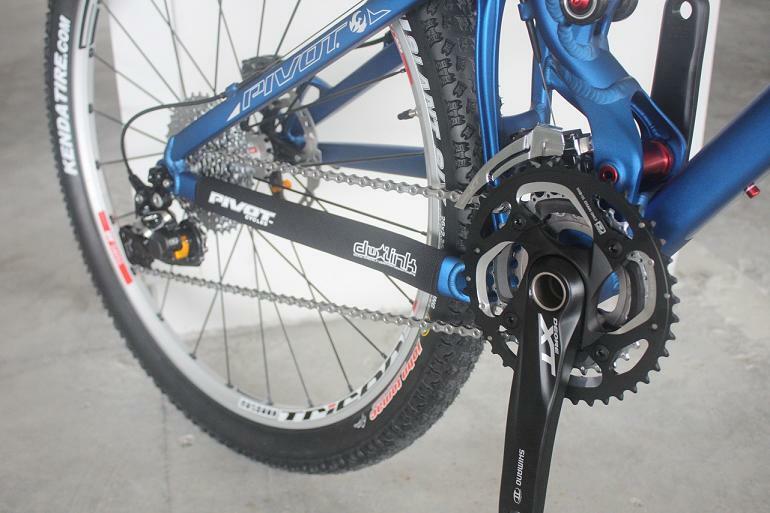 The medium frame with hardware weights under 5lbs, including shock. 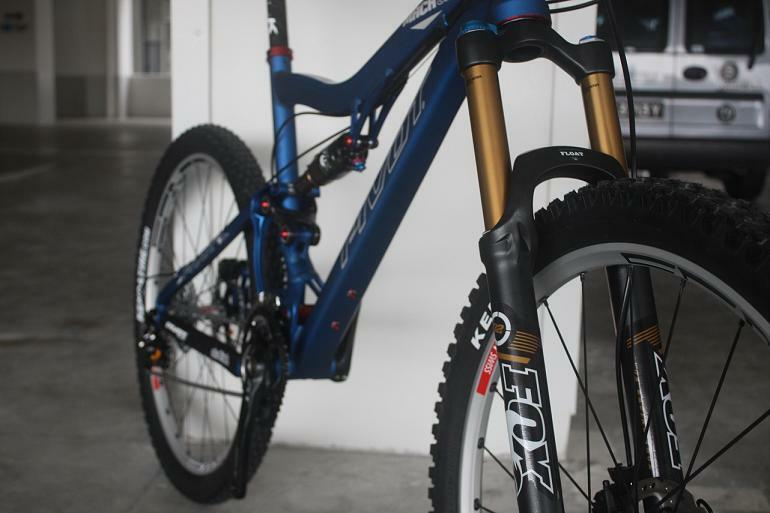 Titus’ FTM (Full Tilt Moto) may well be the ultimate trailbike! Executed here in carbon fiber for additional gram shaving, the 2010 FTM Carbon features carbon fiber main frame, carbon seatstays, and a compression molded carbon fiber link. Get your Titus CARBON TODAY! Limited sets only! 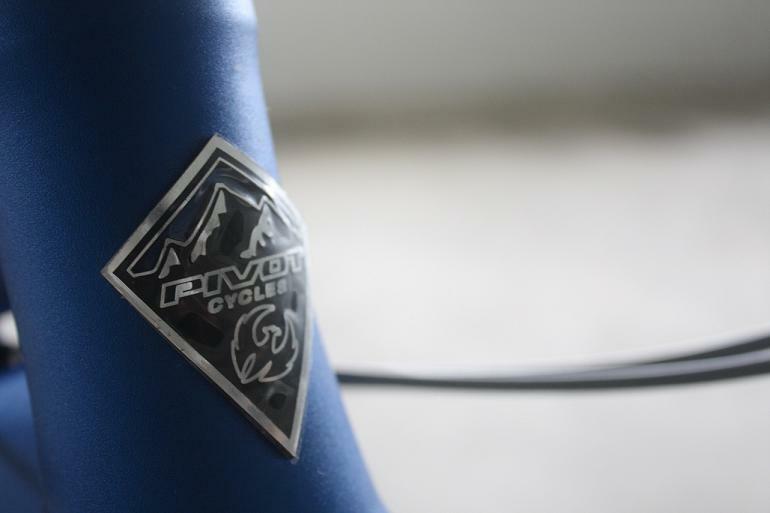 Ultimate Christmas Sale Giveaway for Pivot Cycles frame! 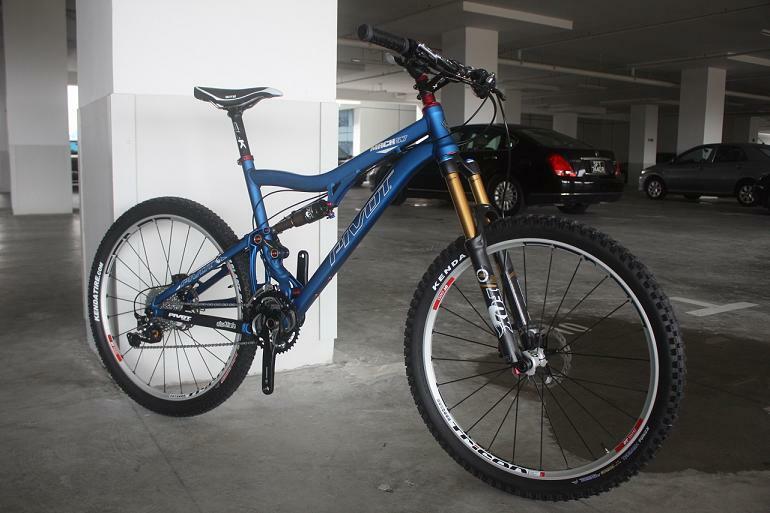 2010 Pivot Mach 5 Frame in Blue or Grey at Small size only! Christmas Sale Giveaway Price now at $2200! The “5 inch travel segment covers some pretty broad territory. You have bikes from 4.75 to almost 6 falling within the realm and ride goals that are even more varied. This is the category where bike companies are trying to design the “one bike that can do it all. Unfortunately, you can’t do it all. To us, a 5 travel bike that is super plush kills off the entire epic, long ride, go anywhere focus of what a 5 travel bike should be. If you lean towards the ski resort/north shore/ more extreme type of riding, then get a 6 travel bike and build it up light. The Mach 5 has 140mm (5.5) of travel and is meant to cover the spectrum of 24 hour racing, all day in the saddle rides, with the ability to devour technical descents. 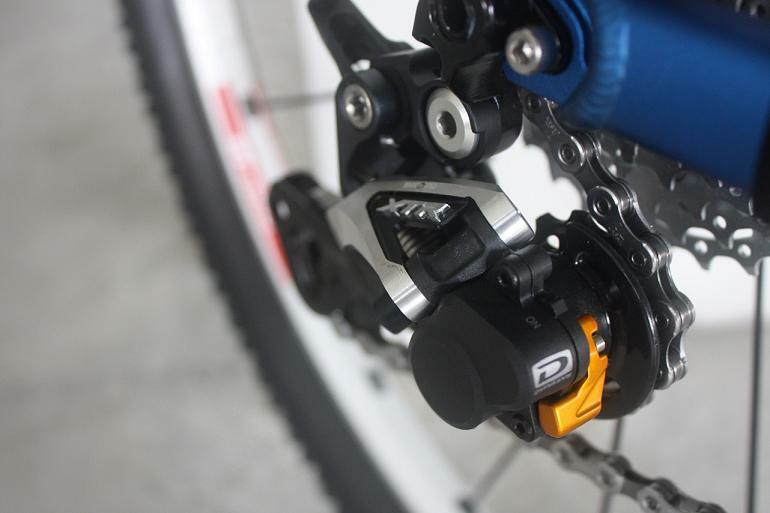 This bike doesn’t bob under power and it isn’t real squishy feeling (we like highly technical terms like squishy). What you can’t tell in a parking lot is that the Mach 5 absolutely comes alive at speed (even in rock gardens which we have tons of in AZ). We have tested this bike from South Mountain’s National Trail to Moab’s Porcupine Rim. There are certainly longer travel bikes that are plusher, but it’s all about controlled travel. The Mach 5 holds its line at speed and always seems to have extra travel in reserve for big hits, big drops, and even the occasional big jump. Grab your Mach 5 frame for this Christmas at Tionghin! *Limited stocks only!! Annual sale for 2010 Manitou Fork at GREAT discount prices!!! 2010 Manitou R7 @ $780, $840(w MILO) Price on sale at $600 and $650(w MILO)! Absolute + damper technology to provide externally adjustable low-speed damping, and internally tuneable high-speed damping. 2010 Manitou R7 MRD @ $1030 Price on sale at $780! Carbon MRD at $900! Absolute + damper cartridge technology to provide light weight, externally adjustable low-speed damping, and internally tuneable high-speed damping. 2010 Manitou Minute @ $720 Price on sale at $600! 2010 Manitou MRD Minute @ $1010 Price on sale at $850! 2010 Manitou Drake @ $520 Price on sale at $430! Absolute + damper cartridge technology for externally adjustable low-speed damping, and internally tuneable high-speed damping. 2010 Manitou Match @ $440 Price on sale at $380! Hurry down to Tionghin while stock last! Limited set. Reason for selling: Haven’t used it in a while and already have another trail/AM bike. Bike is in pretty good condition. Bought in Oct ’08, hardly ridden and left it back home in Penang for the past 1 year. I’ll be bringing it back to Singapore end Oct ’10. Any interested buyers, kindly contact me @ FookChin.Tai@converse.com to try it out. The full build cost for the bike paid is about $5.5K. Selling price is $3.6K (Negotiable). Hi riders, Tiong Hin is supporting “Going Greener” Campaign and celebrating this Christmas with sale of Titus X frame in Green, offered at just $2250. But we are only left with one x Small and one x Medium size so do drop by at our shop to check them out fast! Also, if you are on budget but yet hoping to get a custom-build Titus Bike for Christmas, now is the time to get this Titus complete ML1-Bike @ merely $3800-4000!